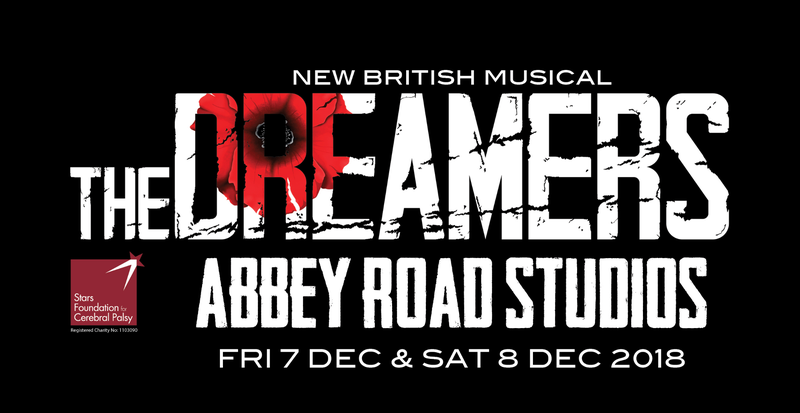 New British musical The Dreamers is being staged at Abbey Road Studios for just four exclusive performances. 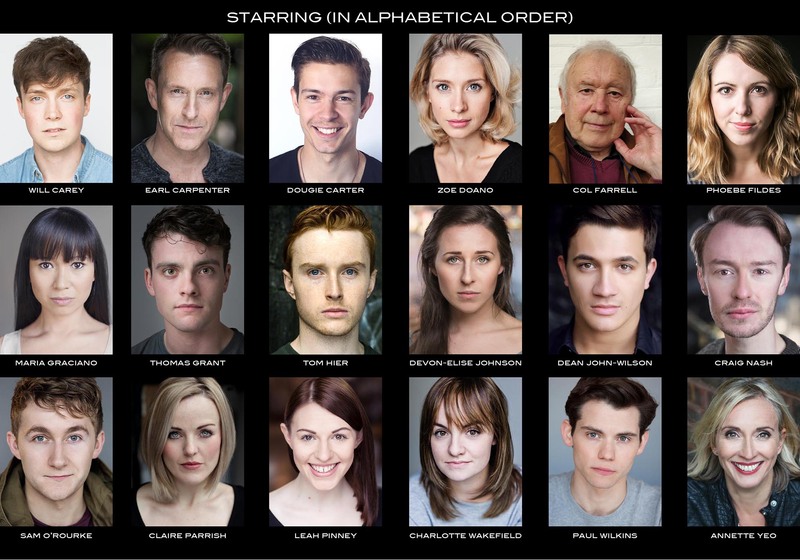 Be the first to see this brand new, original show performed by a cast of West-End stars and live band in the iconic Studio One, which will be transformed into a theatre for the first time in history. This is a unique opportunity to experience live theatre in the intimate environment of the world's most famous recording studio. The Dreamers will be directed by Jean-Pierre Van Der Spuy (Associate Director Les Misérables UK Tour 2018, Miss Saigon UK Tour, Phantom Of The Opera 25th Anniversary at the Royal Albert Hall). There will be four performances of The Dreamers on 7th & 8th December (2pm/7.30pm). The event is being co-produced by Stars Foundation for Cerebral Palsy and any profits from the event will go to the charity. A Premium seat to watch The Dreamers in Studio One at Abbey Road Studios. Includes a CD of songs from The Dreamers (recorded at Abbey Road Studios), a programme and a glass of wine or soft drink in the interval. A Band A seat to watch The Dreamers in Studio One at Abbey Road Studios. Includes a CD of songs from The Dreamers (recorded at Abbey Road Studios), a programme and a glass of wine or soft drink in the interval. A Band B seat to watch The Dreamers in Studio One at Abbey Road Studios. Includes a CD of songs from The Dreamers (recorded at Abbey Road Studios), a programme and a glass of wine or soft drink in the interval. A Premium seat to watch the Gala Night performance of The Dreamers in Studio One at Abbey Road Studios. Includes a CD of songs from The Dreamers (recorded at Abbey Road Studios), a programme and a glass of wine or soft drink in the interval. A Band A seat to watch the Gala Night performance of The Dreamers in Studio One at Abbey Road Studios. Includes a CD of songs from The Dreamers (recorded at Abbey Road Studios), a programme and a glass of wine or soft drink in the interval. A Band B seat to watch the Gala Night performance of The Dreamers in Studio One at Abbey Road Studios. Includes a CD of songs from The Dreamers (recorded at Abbey Road Studios), a programme and a glass of wine or soft drink in the interval. Stars Foundation for Cerebral Palsy is a registered charity that raises funds to give grants to buy communication and mobility aids for people with cerebral palsy. 9. If this ticket is re-sold or transferred for profit or commercial gain by anyone other than the promoter, venue management, DesignMyNight or one of their authorised sub-agents, it will become voidable and the holder may be refused entry to or ejected from the venue.